Zach absolutely loves bath time, but thanks to his eczema he doesn't get to splash about in the tub quite as often as he'd like to. To make up for this, we try to make baths as fun as possible; think lots of toys and water going everywhere. 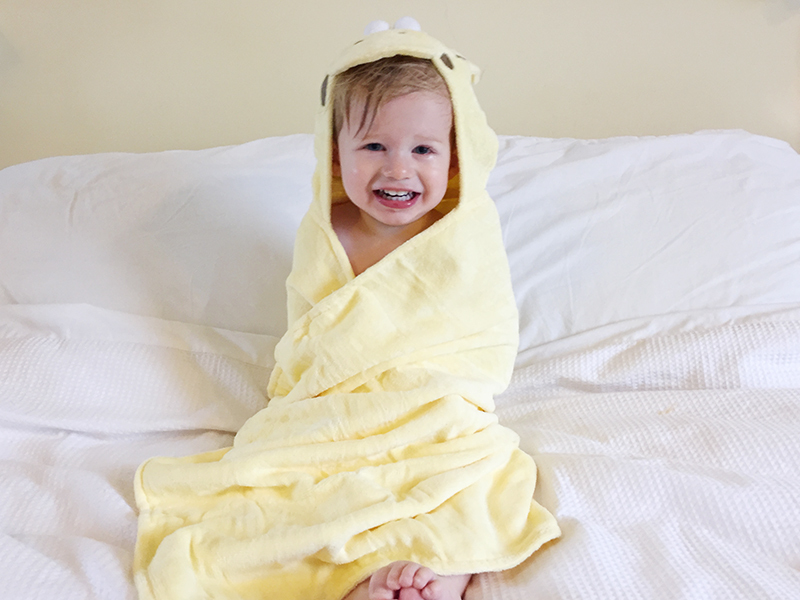 Of course the best way to finish bath time off is with a big soft and fluffy towel, so when I spotted the opportunity to review a Bathing Bunnies towel I jumped at the chance. 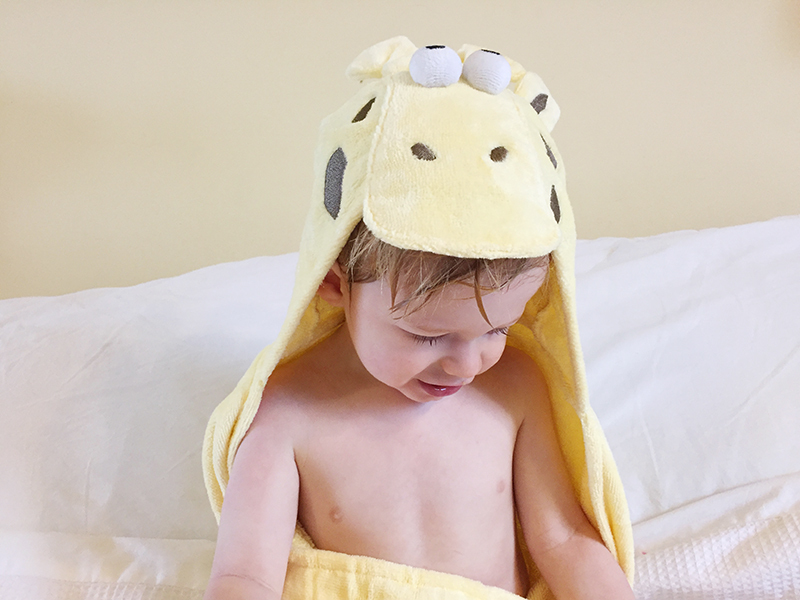 Their entire range of luxurious towels are so cute with their animal hoods, and I knew that they would be perfect for my cheeky little boy. 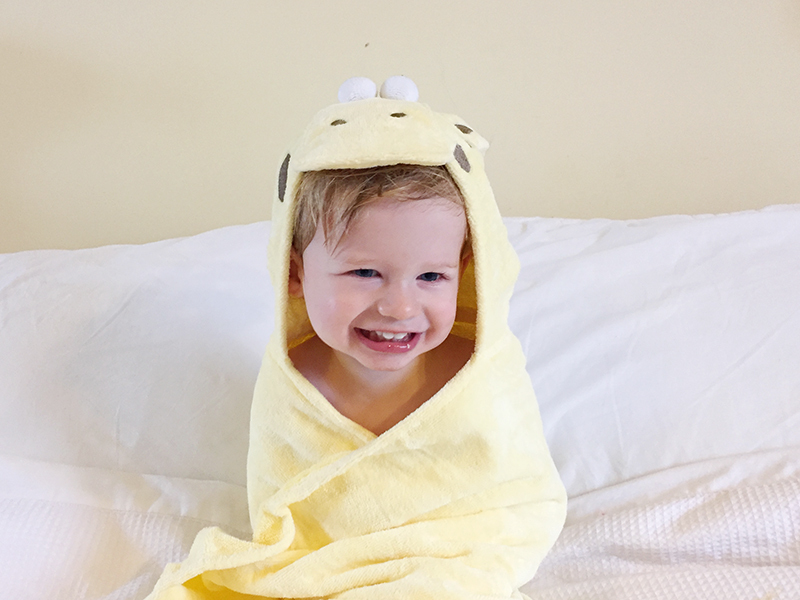 In their toddler range of towels their are four options; crocodile, bunny, giraffe and hippo. I picked the giraffe towel for Zach and I have to say I am so impressed with it. The towel is such high quality - made from 100% cotton terry towelling, it is so super soft and cosy. 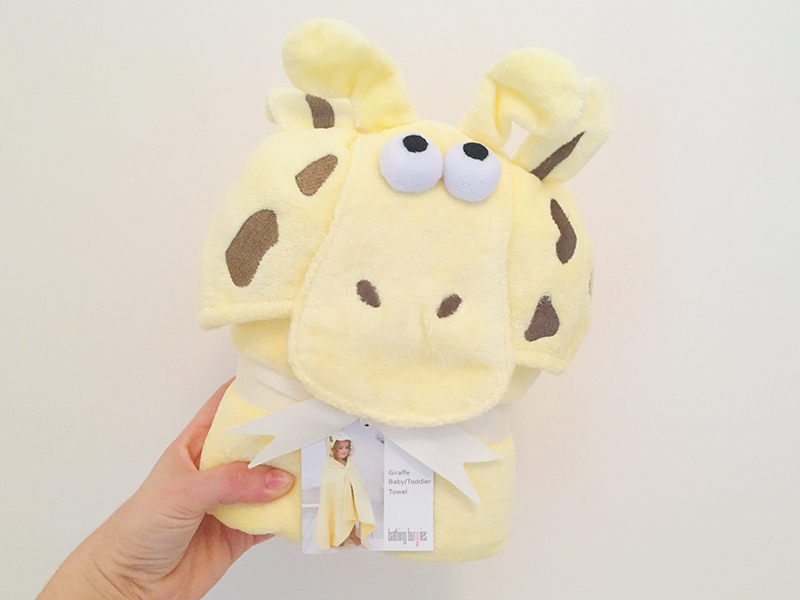 It is the perfect shape for wrapping up a wriggly toddler, and it dries so quickly thanks to it being really absorbent. Aside from using this towel at home I am also planning on using it after our swimming lessons each week. The hood makes it so easy to hang up, and it also folds really nicely meaning that it won't take up a lot of space in my bag. Overall I have to say that I am really impressed with this towel from Bathing Bunnies. It ticks every box for me, and I can't get over how cute Zach looks in it! 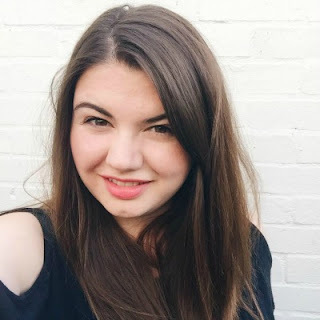 They are priced at £27.49 which I think is a little expensive if you were simply looking for an everyday towel, however I think they would make a great gift, especially as they are also available with personalisation. They offera a chance to give a present that is practical as well as super cute, which is great as it means parents will get lots of use out of it, so do keep them in mind when you are doing your Christmas shopping!